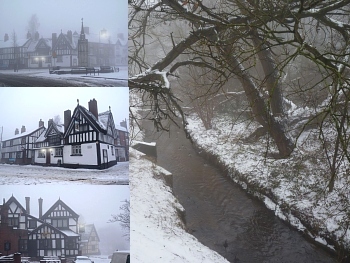 A collection of 32 high quality Photos of an early morning snow in Sandbach, Cheshire England. where time seems to have stood still since Saxon times. Optional music included. Photos taken by famous photographer, Ray Jones © on 2/05/2012. You can add your own music to this saver, and also supports dual monitors. F2 sets any saver image to your pc background wallpaper.Screensaver copyright, ART-TLC ©.